AS construction work continues apace on Belong's ₤16 million state of the art care Village in the West Birkdale Conservation Area, the not for profit care provider has released particulars of the 1st Phase of accommodation available for rent or purchase, comprising 30, 1 and 2 bedroom independent living apartments in the development's Dunesville Court. 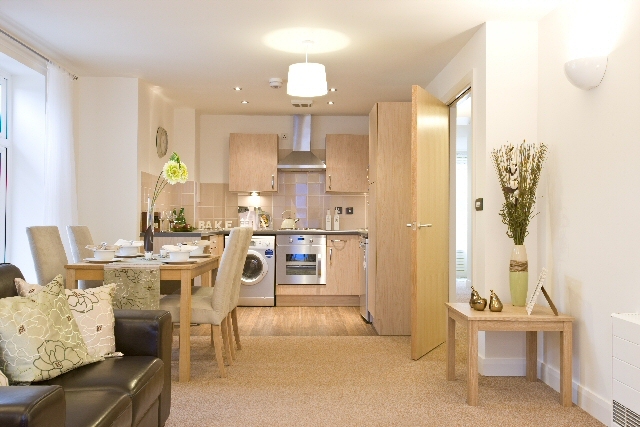 The apartments are all built to:- 'Secured by Design' standards and situated adjacent to the centre of the new Belong Village, which houses the range of on site amenities, including:- bistro, hair and beauty salon with barber service, library with Internet, spa and treatment room, and function rooms. All apartments benefit from a:- 'Nursecall' system with round the clock emergency response. Both 1 and 2 bed specifications boast en-suite bathrooms and fully fitted contemporary kitchens with integrated appliances. Apartment living in the Village will provide individuals or couples with an opportunity to live independently as part of a community and with access to home care if required, through the Belong at Home service or another provider. Belong's experience days and exercise services are also available for wellbeing and a sense of community, whilst maintaining independence. Once completed, the Birkdale Village will become Belong's 8th, and the organisation's 1st coastal development. 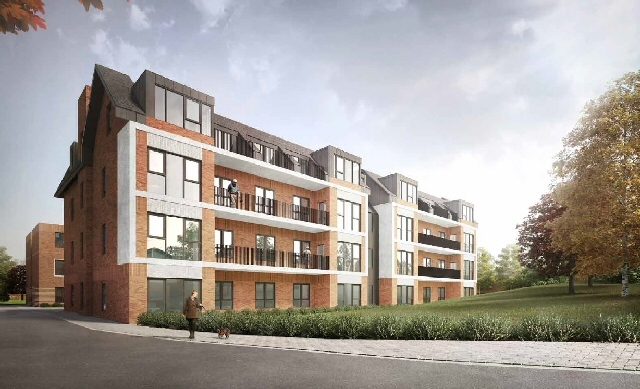 It has been designed by leading architects, Pozzoni, to incorporate principles of safe, dementia friendly spaces, and to blend sensitively within the West Birkdale Conservation Area by using local brickwork and distinctive architectural features. In the autumn of 2018, Southport MP Damien Moore laid the foundation stone to mark a milestone in the construction. The Village is now taking shape, and when opened in autumn 2019, will provide class-leading dementia care and accommodation for over 100 people, with 72 residents living in extended family households, which will benefit from class leading 24 hour care and nursing support. The newly released apartments will accommodate over thirty people. Commenting on the release of the apartments, Belong's deputy chief executive, Tracy Paine, said:- "Our independent living apartments offer the ideal opportunity for individuals or couples to be part of a really vibrant community, safe in the knowledge that should they require care support in future, it is on hand. The Village is on target for completion in autumn this year, when we look forward to opening our doors to the local community in Birkdale." ► Strategic organisation, design and development. This strategy aims to make it an internationally recognised UNESCO World Heritage destination, improve accessibility, upgrade areas such as the heritage centre, develop an education centre, invest in additional art galleries and refurbish St John's Gardens. It also aims to safeguard the physical assets of St George's Hall, including the restoration of the Minton Tiles and the Willis Organ. There is also the ambition to create new statues commemorating achievements by Liverpool women, joining the Kitty Wilkinson Tribute, in the Great Hall. Closing date for applications is 5pm, Friday, 12 April 2019, and anyone interest in applying for the voluntary roles should submit their CV and a covering letter to Robin.Thomaides@Liverpool.Gov.UK or call:- 0151 233 0470 for more information. 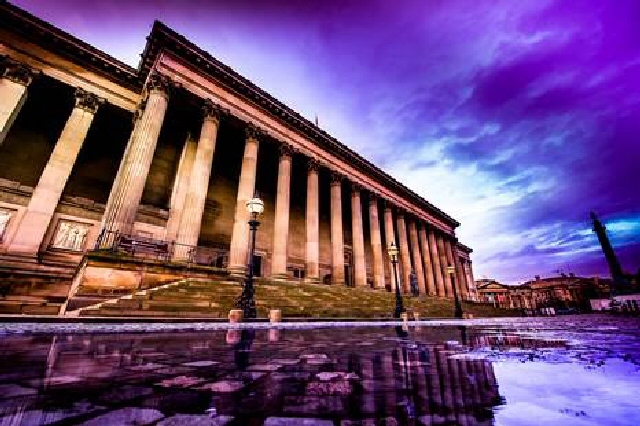 To find out more about St George's Hall, visit:- StGeorgesHallLiverpool.Co.UK. Chair of St George's Hall Charitable Trust, Claire Dove OBE, said:- "Being a trustee of an incredible building like St George's Hall is not only a real honour, but is vitally important in securing the heritage of the Hall for future generations to come. The trust's work is all about leaving a legacy and ensuring that the building stays the jewel in Liverpool's crown for many years to come." City Halls Manager, Alan Smith, said:- "We are hoping to recruit new additions to the team who have a passion for the Hall and really want to make a positive difference. We want them to bring their experience and forge links with the community, delivering a shared vision for the Hall which will ensure it remains a must visit destination for tourists and a place residents and local businesses use as often as possible. It's an exciting new chapter, and I hope we attract a wide variety of applicants with the ambition to grow and develop this City gem."